Jan. 29 (NBD) -- The tripartite confrontation has taken shape in the global power battery market among firms from China, South Korea and Japan. A report on the market in 2018 released by research institution IHS shows that the top 10 power battery enterprises in terms of production and sales include Japan's Panasonic, Samsung SDI, LG Chem andSK Innovation from South Korean and other 6 Chinese firms. During the past year, all the three South Korean giants on the list announced plans to expand investment and output. Their injections are predicted to exceed 10 trillion won (8.92 billion U.S. dollars) in 2019, no less than 40 percent of which will be poured into the Chinese market, statistics reveal. Lee Kook-Heon,professor at Korea University's College of Political Science and Economics, pointed out that behind South Korean players' aggressive deployment in the power battery field is the sluggish growth of chip, automobile, digital product and other sectors that previously contributed major part of their income. The enterprises such as Samsung Electronics and SK Hynix gained shrinking profits from the semiconductor and chip businesses, which severely encumbered the total earnings. In the fourth quarter of last year, Samsung Electronics' operating profit plummeted by 28.7 percent year on year to 10.8 trillion won (9.6 billion U.S. dollars). Thus the power battery as a new growth engine is increasingly valued by South Korean titans. As of the end of 2018, Samsung SDI, LG Chem andSK Innovation reaped a total of 175 trillion won (156.1 billion U.S. dollars) from global orders in power battery segment, more than the amount brought by the semiconductor chip industry last year. Samsung Electronics vice chairman Lee Jae-yong has repeatedly addressed that power battery products will become the core competitiveness of the enterprise in the future development. Chey Tae-won, chairman of SK Group, even said power batteries will pave the way for SK group's advance. Panasonic Corporation president Kazuhiro Tsuga also previously expressed similar attitude towards the battery business in an interview. 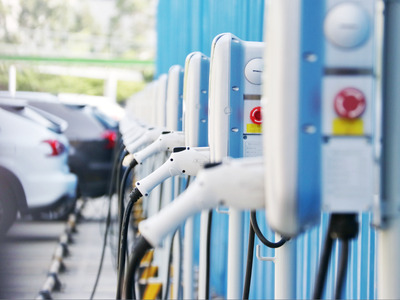 China, as one of the largest new-energy vehicle(NEV) markets in the world, posted remarkable sales boost last year. The sold NEVs in the country hit 1.26 million units during the period, up 61.7 percent compared to 2017 and accounting for more than 50 percent of the global sales. A person from a South Korean power battery company told news outlet Yicai the year 2020 when Chinese regulators is to remove NEV subsidies will see a head-on clash in China between global giants and local battery enterprises. Both South Korean and Japanese firms have themselves prepared for the race. Given that it takes about 20 months from filing for NEV project to starting production, foreign power battery companies are estimated to speed up layout in the coveted market this year. In fact, there is no stark performance difference among car batteries from China, Japan and South Korea, said Qi Lu, professor at Peking University. Although Japanese and South Korean rivals have great advantages in R&D and the development of some concept models, the investments in R&D by Chinese firms are also considerable, added Qi.